NAOS believe that to be caretakers of the next generation we must actively support positive change. 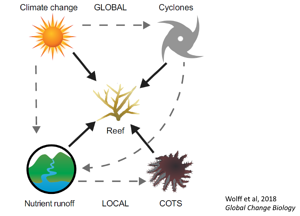 Earlier this year, NAOS Asset Management announced its exciting new partnership with Greening Australia, and specifically the active support of its flagship Reef Aid program. Launched in 2016, Reef Aid aims to restore 700 hectares of priority coastal wetlands and 2,000 hectares of eroding gullies across the Great Barrier Reef catchment, with indigenous owned Mungalla Station and Strathalbyn Station pinpointed as key focus areas. The overall goal of the program is to improve water quality on the reef by 50-80% before 2030. 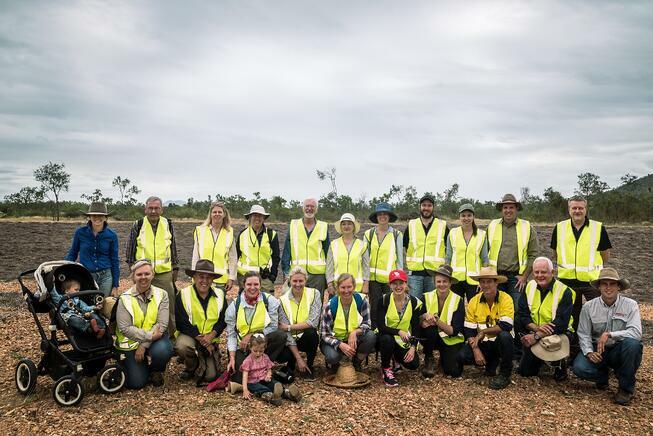 During May, NAOS had the opportunity to accompany Greening Australia on a site tour to North Queensland and see firsthand the positive work they are doing alongside local landholders. What became evident throughout the experience was the strong commitment from landholders, who included a local Landcare group, traditional Aboriginal owners and the Hughes family, owners of Strathalbyn Station in the Burdekin catchment three hours South of Townsville, to steward the land to ensure the health of the reef into the future. The Burdekin River Catchment is responsible for delivering an estimated 50% of the total sediment that makes its way into the waters of the Great Barrier Reef. Fine sediment flowing from eroding land like Strathalbyn Station into the Great Barrier Reef can cause smothering of coral and fishes, create algae blooms, and weaken the reefs ability to recover from the impacts of climate change such as coral bleaching. Through the ‘Innovative Gully Remediation Project’ which forms part of Reef Aid, Strathalbyn Station will be used as a site for showcasing and trialling innovative techniques, stimulating fresh thinking to tackle erosion and facilitating engagement with local landholders. Reef Aid’s pilot site at Strathalbyn Station has produced preliminary results from the water testing indicating that sediment concentrations in the treated gully are reduced by greater than 97%. Dr Ken Anthony of Australian Institute of Marine Science (AIMS) spoke with us during the trip, emphasising that the biggest global threat to the reef is climate change, while poor water quality is the greatest local pressure facing the reef. He acknowledged that while it’s difficult to control climate change we can control this local threat. There is more than just the environmental threat to the Great Barrier Reef, the economic and social value must also be considered. 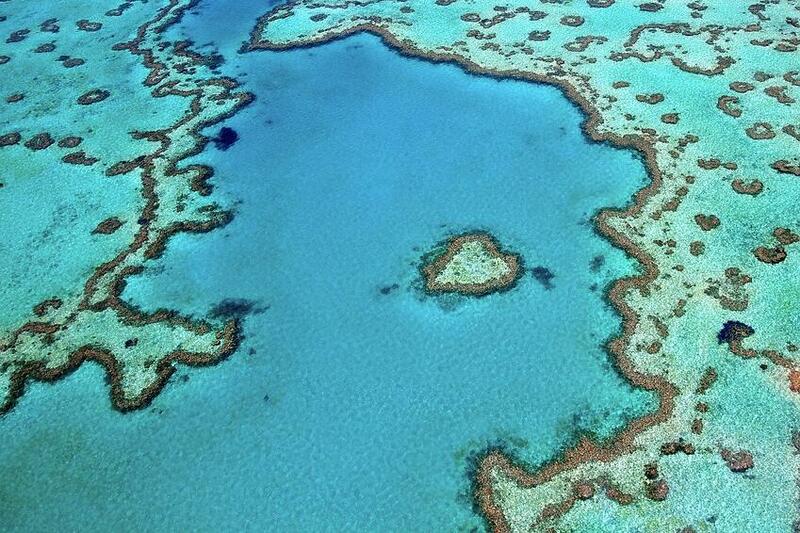 Deloitte released a report in 2016 stating that the Great Barrier Reef is valued at $56 billion, employs 64,000 people and contributes $6.4 billion to the economy per annum, attracting over 2 million visitors each year. During May 2018 the federal government announced a $500 million commitment to reef conservation and management, the largest investment in Australian history, with $200 million to be dedicated to water quality, highlighting how threatened the world’s largest living organism has become. Through the Reef Aid program, the Australian Government will match private contributions dollar for dollar, $100 stops 1 tonne of sediment entering the Great Barrier Reef. If you would like to know more about the Reef Aid program please click here. Supporting our commitment to Environmental, Social and Governance issues, NAOS Asset Management (the management company) aim to donate 1% of our management fee revenue to the community and environment, of which the Reef Aid program is one of the recipients.